From its earliest days as a royal settlement fronting the pyramids of Giza to its current manifestation as the largest metropolis in Africa, Cairo has forever captured the urban pulse of the Middle East. 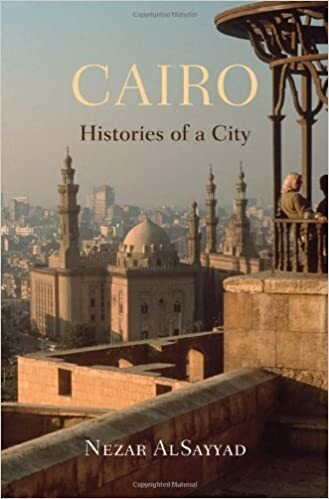 In Cairo: Histories of a City, Nezar AlSayyad narrates the many Cairos that have existed throughout time, offering a panoramic view of the city’s history unmatched in temporal and geographic scope, through an in-depth examination of its architecture and urban form. In twelve vignettes, accompanied by drawings, photographs, and maps, AlSayyad details the shifts in Cairo’s built environment through stories of important figures who marked the cityscape with their personal ambitions and their political ideologies. The city is visually reconstructed and brought to life not only as a physical fabric but also as a social and political order—a city built within, upon, and over, resulting in a present-day richly layered urban environment. Each chapter attempts to capture a defining moment in the life trajectory of a city loved for all of its evocations and contradictions. Throughout, AlSayyad illuminates not only the spaces that make up Cairo but also the figures that shaped them, including its chroniclers, from Herodotus to Mahfouz, who recorded the deeds of great and ordinary Cairenes alike. He pays particular attention to how the imperatives of Egypt's various rulers and regimes—from the pharaohs to Sadat and beyond—have inscribed themselves in the city that residents navigate today.